Jillian reading her wedding vows to Jason at the Hyatt Cambridge. Location: Hyatt Regency Chesapeake Bay Golf Resort, Spa And Marina, 100 Heron Blvd, Cambridge, MD 21613. 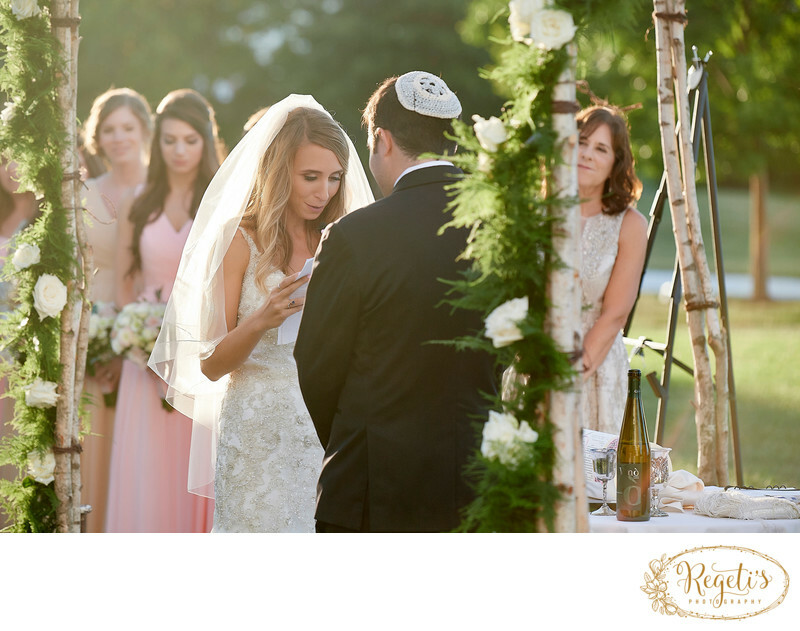 Keywords: Chesapeake Bay Hyatt (6), Jewish Wedding (45).